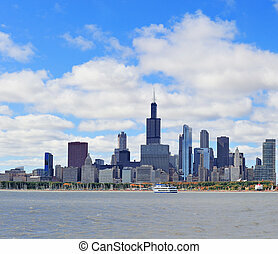 Chicago city urban skyline panorama with skyscrapers over lake michigan with cloudy blue sky. 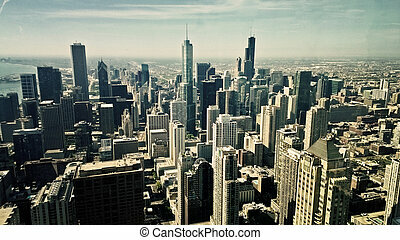 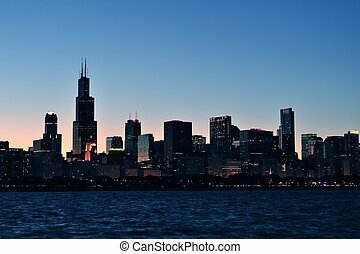 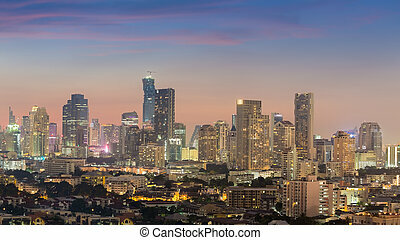 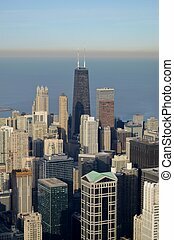 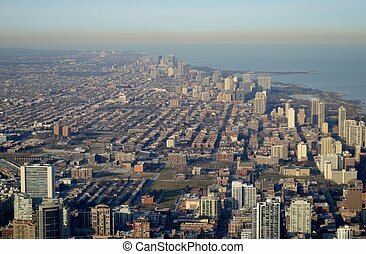 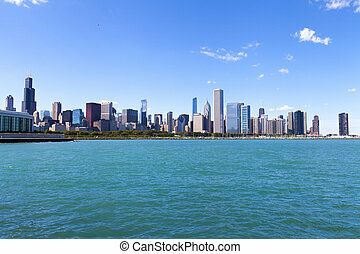 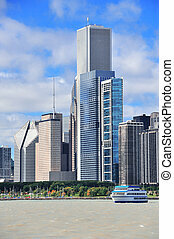 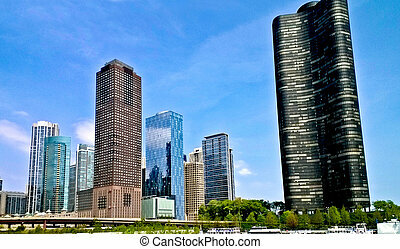 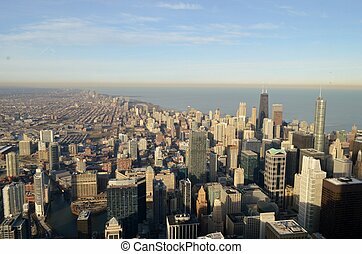 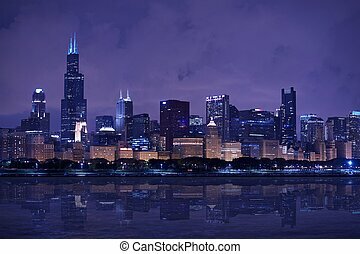 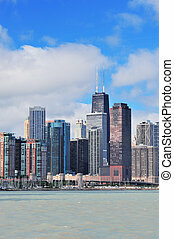 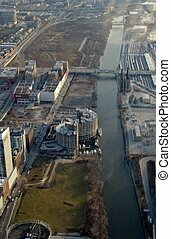 Chicago skyline with its many and varied architectural styles. Chicago city urban skyline panorama silhouette at dusk with skyscrapers over Lake Michigan with clear sky. 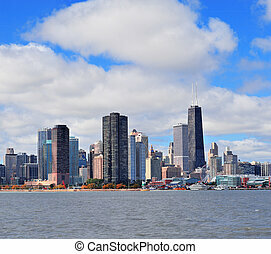 Chicago city urban skyline with skyscrapers over Lake Michigan with cloudy blue sky. 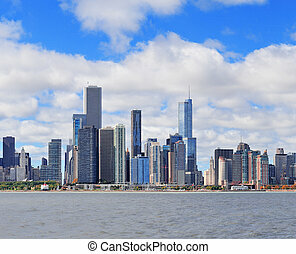 Boston Charles River panorama with urban city skyline skyscrapers and boats with blue sky.